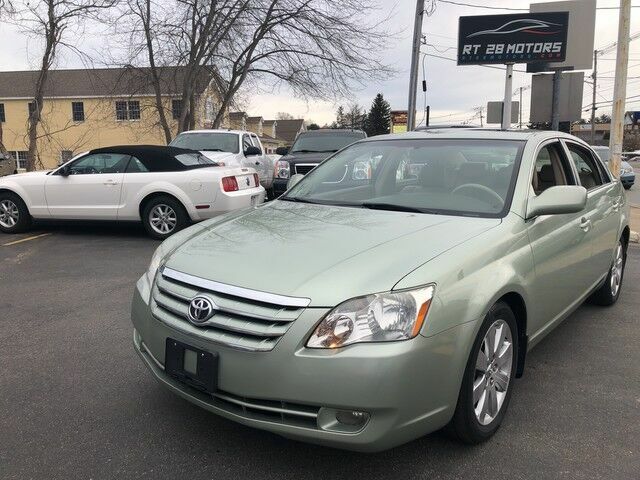 Contact Rt 28 Motors today for information on dozens of vehicles like this 2005 Toyota Avalon XLS. The Toyota Avalon XLS is economically and environmentally smart. Toyota clearly delivers on its promise to provide a fuel-efficient vehicle that has the great qualities you need in a vehicle. There are "other vehicles" and then there is the Toyota Avalon XLS. It is one of the most unique vehicles on the market, and you would be hard pressed to find another dealer offering something quite like this Toyota. Added comfort with contemporary style is the leather interior to heighten the quality and craftsmanship for the Toyota Avalon This impeccably built Toyota Avalon XLS comes with a plethora of added features that have made this vehicle a unique find. These options will simply amplify the experience of owning and driving this wonderfully crafted Toyota. Fast? That doesn't even begin to describe it. Get behind the wheel and take it for a spin to see just what we mean. Looking for a Toyota Avalon that is in great condition inside and out? Take a look at this beauty.